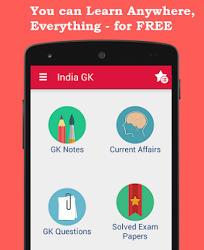 5th January 2016 Current Affairs MCQs, Quiz, Questions: Current Affairs for January 2016, Daily Multiple Choice Questions (MCQs) for India GK, World GK and current affairs with Collection of daily objective type Question by www.Indiagk.net based on General Knowledge (GK) and General Science (GS) Questions for UPSC, State PSC, SSC, Police exam, Railway exam, SBI, Bank PO, IBPC, SSC, LDC, UDC, Army, Airforce, Navy, Coast Guard, Bank Clerk, TET and all entrance examination with current affairs News, Multiple Choice Questions (MCQs) available on Website www.IndiaGK.net and Android Apps with daily updates:. Friendship bus service resumes between which country recently after 27 years ? Explanation: Indo-Nepal friendship bus service resumes . A friendship bus service between India and Nepal that was suspended 27 years ago has been resumed yesterday. The bus service will run between Kanchanpur in Nepal and Anand Vihar in Delhi via Champawat in Uttarakhand. No special documents are required to travel in these buses which provides free wi-fi connectivity. The service was suspended 27 years back in the wake of the Indo-Nepal Trade and Transit Treaty. Which PSU bank has agreed to buy 4 premium Mumbai flats of Air India in a deal of Rs. 90 crore ? Explanation: State Bank of India (SBI) has agreed to buy four premium flats in Mumbai’s posh Peddar Road area from the loss-making Air India for Rs. 90 crore. SBI is planning to allocate these four flats to its top executives. Each of these 3-BHK flats has a carpet area of 2,033 sq ft. Faced with substantial debt burden, the national carrier Air India has been exploring various options to raise money to meet its funding requirements. Nokia completed acquisition of which company for 15.6 billion Euro on 5th January 2016 ? Explanation: Nokia Corporation on 5 January 2015 announced that it completed the regulatory formalities for acquiring the French telecom equipment company Alca-Lucent. The deal, worth 15.6 billion euro, was signed in 2014 and later approved by the European Commission. Sarosh Homi Kapadia who passed away on 4 January 2016 was former ........... ? Explanation: Sarosh Homi Kapadia passed away on 4 January 2016 in Mumbai. He was 68. On 18 December 2003, he was appointed as a judge of the Supreme Court. On 12 May 2010, he was sworn in as the 38th Chief Justice of India by the President Pratibha Patil. He retired on 29 September 2012. Home Minister approves 33% reservation to women in which posts ? Explanation: Union Home Minister Rajnath Singh has approved the 33% posts at Constable level in Central Armed Police Forces (CAPFs) for being filled up by women. The 33% reservation of Constable level posts in CRPF & CISF and 14-15% posts at Constable level in border guarding forces i.e. BSF, SSB & ITBP will start immediately to begin with. This reservation would be horizontal. Who became the first batsmen in to score more than 1,000 runs in an innings in school cricket recently ? Explanation: Pranav Dhanawade, the boy from Kalyan, a small suburb around Mumbai created history when he became the first batsmen in to score more than 1,000 runs in an innings in school cricket. His school KC Gandhi HS declared at 1465. He remained unbeaten on 1009. His knock was studded with 59 sixes and 129 boundary.